In today's insurance marketplace, Demolition Contractors often have trouble getting quotes for their insurance that include general liability exposures along with the environmental exposure or the quotes take forever to acquire because the coverage's come from different sources. Eidyia Insurance Services is a national broker for this new Demolition Contractor Program. The Demolition Contractor Program includes general liability coverage as well as coverage for environmental exposures such as lead and asbestos in a demolished building. Eidyia Insurance Services has a new Liability Insurance program available for Demolition Contractors with lead and asbestos coverage available. This program is written with an AM Best A Rated carrier that offers policies that include General Liability, Contractors Pollution Liability and Professional Liability (Errors and Omissions). This new program can suit most if not all Demolition Contractors insurance needs. 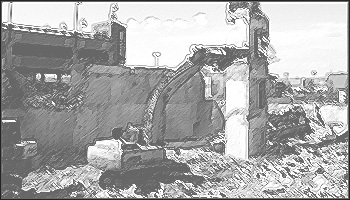 Demolition Contractors Liability our combined GL, CPL, policy is a multi coverage policy that is designed exclusively for Demolition Contractors. Limits up to $ million on a blanket basis or for individual projects.